As her life is falling apart around her, Tammy (Melissa McCarthy) goes to her mother’s, Deb (Allison Janney), house. When Deb won’t let Tammy take her car to leave town, Tammy turns to her last option. Her grandma’s car. Pearl (Susan Sarandon), Tammy’s grandma, refuses to let Tammy take the car without taking her along. Tammy refuses to take Pearl along, not wanting to spend any time with her ailing, alcoholic grandmother. When she finds out Pearl has a few thousand dollars in cash, she changes her mind. As Tammy drives out of town, Pearl suggests they go to Niagara Falls. She has always wanted to go, but has never had the opportunity. On their cross-country adventure, they meet Earl (Gary Cole) and Bobby (Mark Duplass), father and son farmers, who help get Tammy and Pearl out of a jam or two – after causing some trouble of their own. Tammy and Pearl also get to know each other again, working through issues in their past. Melissa McCarthy plays her typical Melissa McCarthy character. The same one you’ve seen in almost every film she’s in. She’s bumbling, a little awkward, and rough around the edges. She has a unique comedy styling that not many could pull off. She takes the Chris Farley style of comedy and takes it up a few levels. It could work, if she could find a David Spade to play off. Susan Sarandon’s jokes mostly come off as a result of her character being drunk. Or getting drunk. Or just being all around inappropriate. It gets old after a while. My biggest complaint, which is probably mostly due to the script, is an abrupt change in character as Pearl goes off on a drunken rant. It’s almost as if when writing the Tammy, Melissa McCarthy and husband Ben Falcone, who also directed the movie, realized they needed to move things along and just fudged this scene to get to the next act. McCarthy and Falcone never capitalize on the comedy we are promised in the trailer. Instead, we get a collection of jokes that fall flat. When the writing fails, we are treated to scenes like McCarthy riding the jet ski and robbing the fast food restaurant. These can be funny in small doses, but Melissa McCarthy doesn’t do anything in moderation. Gary Cole, Mark Duplass, and Kathy Bates are only passable in the film. The comedy they provide to the film is a bit more subdued than what we get from Melissa. Although, Gary Cole comes in a close second to her. Add in a few other well-knowns and a cameo at the end, which seems to be a cameo for cameo-sake, and you have a cast that is capable of much more. 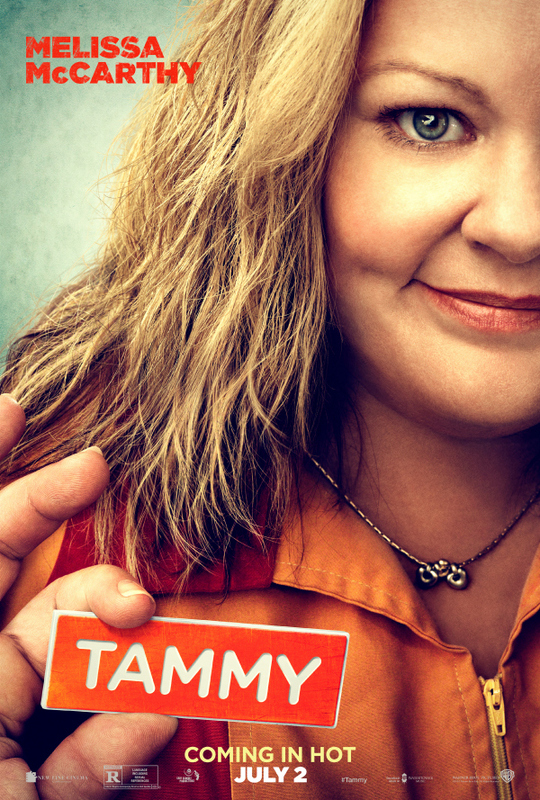 If you like the Melissa McCarthy style of movies, you will probably like Tammy. It’s essentially the same movie she’s done before, only without the humor of, say, Bridesmaids. Personally, I’d rather sit through 3 hours of robots blowing stuff up than sit through this again. Skip this one. Or at least wait for the RedBox.